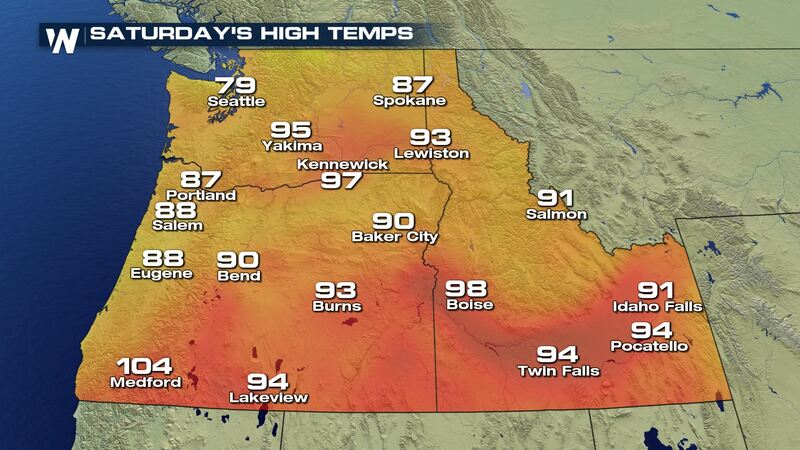 High pressure is dominating the forecast for the Northwest over the next few days. 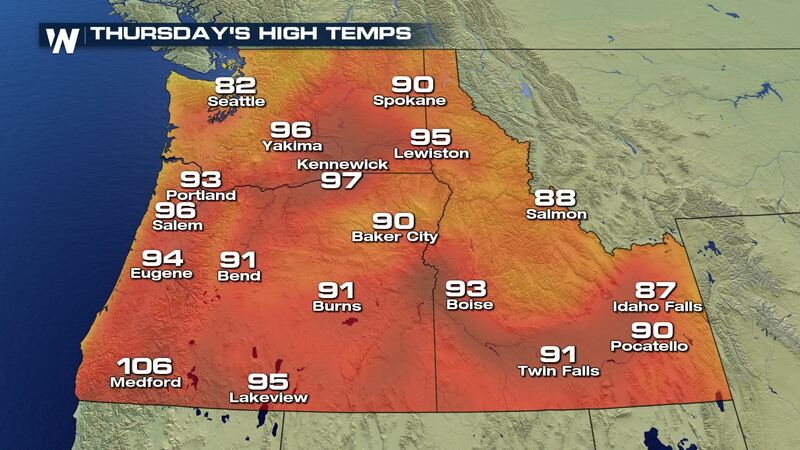 This means strong sunshine and hot temperatures are in the forecast for the states of Washington, Oregon and Idaho. 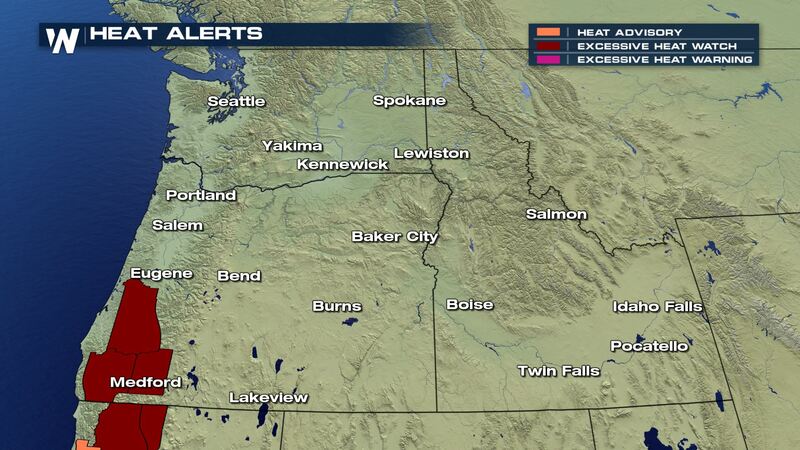 Areas west of the Cascades are already under Excessive Heat Watches that will go through early next week. Monsoonal moisture streaming out of the South will allow temperatures to feel like the lower 100s. 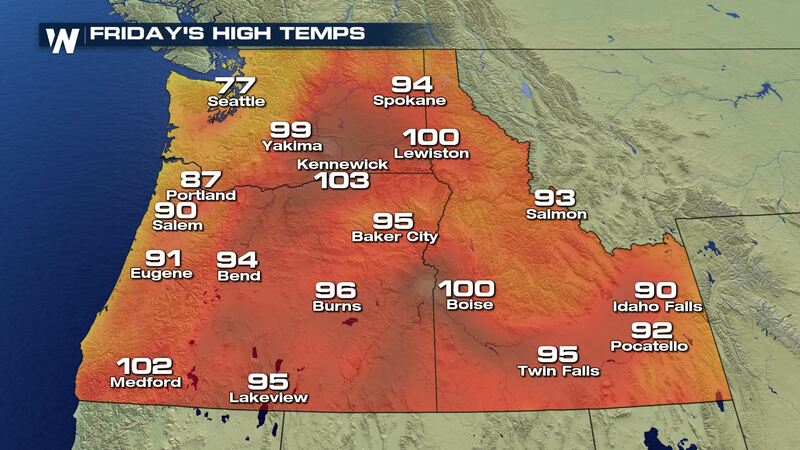 This could lead to an increased risk of heat related illnesses. Here is a look at the high temperature forecast over the next 3 days. Again, this is just the air temperature…we will also have monsoonal moisture making it feel even hotter. Expect afternoon highs to be 15°-25° above normal over the next several afternoons.